Are you a super party host or do you need a few tips on throwing a party? Sometimes we get so caught up in the excitement of giving a party we can forget some of the basics like pre-planning, timely invitations, selecting food to serve and managing guest issues. Need to brush up on your hosting skills? Take this quiz to check if you are a champion (or just a so-so) party-giver. 1. 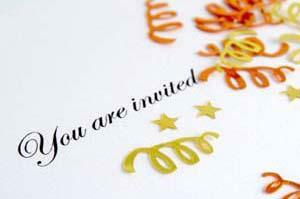 How many weeks before the party should you send the invitations?